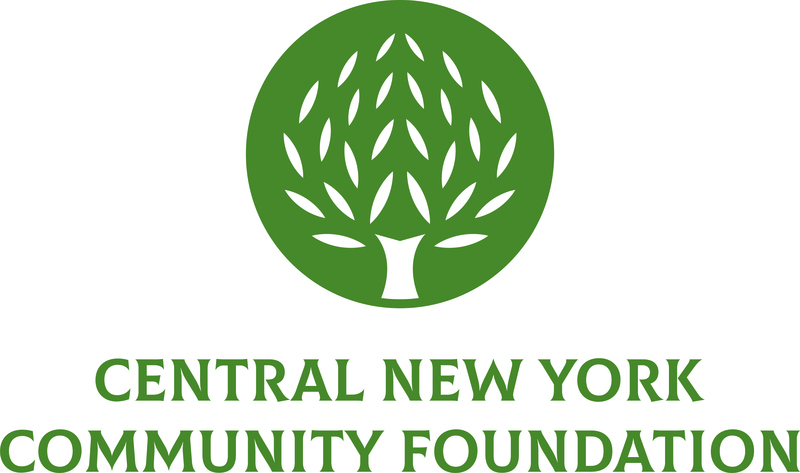 July 16, 2018 (Cayuga County, NY) – The Cayuga Community Fund, an affiliate fund of the Central New York Community Foundation, awarded $70,245 to 22 nonprofit organizations that serve residents of Cayuga County. ABC Cayuga, Inc. received $2,000 to create a toddler play area that addresses the unique developmental needs and play interests of young children. Auburn Public Theater received $1,500 to provide five camp scholarships to underserved youth for its School of Rock summer theater camp, which includes a trip to New York City to see a Broadway show. Auburn YMCA-WEIU received $2,500 to upgrade waterfront equipment at Camp Y-Owasco for its Transforming Lives through the Camp Experience summer camp. Aurora Masonic Center received $2,500 to restore its iconic 1819 Masonic Lodge building, a historic landmark. Booker T. Washington Community Center, Inc. received $2,993 to upgrade the refrigerator system for its community feeding program that serves snack and dinner to more than 400 youth five days a week during the school year. Calvary Food Pantry received $2,300 to purchase food items for baskets that are distributed to underserved families during the winter holidays. Cayuga County Homsite Development Corporation received $2,100 to upgrade its technology to better serve low and moderate-income households in Cayuga County. Cayuga Museum of History and Art received $2,925 to purchase new display panels and easels for its Case Research Laboratory featuring historic exhibits about Theodore Case and his invention of talking movies. Food Bank of CNY received $8,300 to hire an outreach coordinator for its Supplemental Nutrition Assistance Program (SNAP) in Cayuga County. Friends of the SCCS Planetarium received $5,000 to support a year-long grant and strategy consultant position. Habitat for Humanity/Cayuga County received $2,500 to fund its 19th home rehabilitation for a family in Auburn. Healing H’Arts Equestrian Center, Inc. received $2,016 to update its technology and equipment for presentations given throughout the year. Lifeworks of Cayuga County received $6,500 to support recovery community events for its sober support program to instill self-improvement in all of its participants. Nick’s Ride 4 Friends received $3,000 to purchase desktop computer stations and a printer for its community clubhouse. Peers in Cayuga County, Inc. received $6,000 to purchase equipment and train two members to become Wellness Recovery Action Plan (WRAP) facilitators. Perform 4 Purpose received $2,500 to purchase instruments and equipment to expand its community-based programs in Cayuga County. Rescue Mission Alliance received $2,862 to support S.T.E.M. educational activities for homeless youth, including a visit to the Museum of Science and Technology. Schweinfurth Memorial Art Center received $5,000 for HVAC improvements to its second floor. The new system will ensure environmental comfort for community patrons and improve air quality for proper preservation of historical records and collections. Seward House Museum received $749 to update its multifunction printer to allow for in-house printing of its promotional materials. Southern Cayuga Anne Frank Tree Project received $500 to add signage near the tree site to draw attention to the new surveillance system and deter vandalism. Sterling Historical Society received $5,000 to complete the 1917 Caboose Restoration Project to prevent deterioration and provide public access to its exhibits for generations to come. Transportation Project for Cayuga County, Inc. received $1,500 to purchase a new van to provide additional specialized, door-to-door transportation to the senior and disabled of Cayuga County. These grants were made possible with support from the Cayuga Community Fund, Cayuga Health Association Fund, Evelyn B. & Emery S. Osborn Fund and Marie C. Bean Harris Fund. The Cayuga Community Fund, created in 2008, is a geographically specific fund created to serve as a source of permanent charitable dollars available to nonprofits serving residents of Cayuga County. Grants are awarded from the endowment fund annually to aid vital programs in education, health, social services, the arts, civic and environmental concerns, as well as the preservation of historic resources in Cayuga County. The Cayuga Community Fund has granted more than $400,000 to nonprofit groups since 2010.